The State is grabbing more and more CONTROL over us. If The State can pass a law saying that you cannot smoke on a beach, in the open air with a sea breeze blowing, then The State has deviated from its purpose. We should not be afraid of comparing Tobacco CONTROL with Nazi Germany or Communist Russia. The operative word is CONTROL. Why were publicans threatened with massive fines and possible withdrawal of their licences if they did not FORCE smokers to comply with the ban? I shall tell you: it was because they, and even their associations, did not know their Personal Rights. They should have fought like hell to refute the idea that they were criminally responsible for what other people do on/in their premises. In other words, if someone pulls out a knife and skewers another person, the publican could be held responsible because he did not have every punter searched. Vaping seems to have been under threat since day one and even today with the plethora of scientific evidence out there pointing to e-cigs being 95% safer than smoking it continues to come under fire. So called health professionals – the media and in particular Governments seem to chime in daily with vaping health scare stories – fake science and of course the constant need to ‘tighten’ legislation. 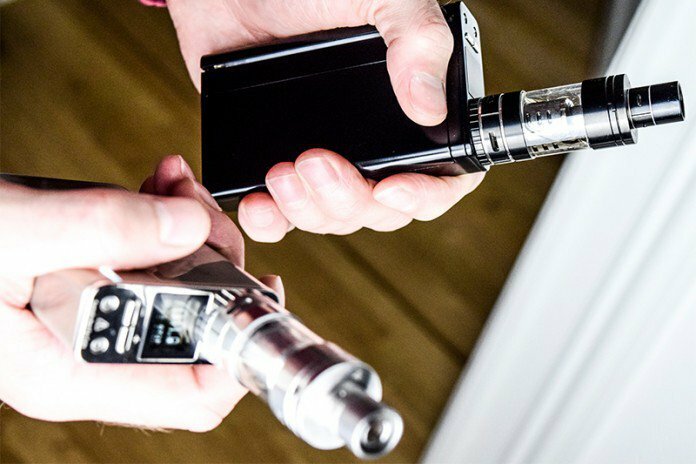 The vaping world as we know it would be a very dark place these days had it not been for the vaping advocacy movements that have sprung up to stem the flow of at times hysterical backlash towards e-cigarettes. One group in particular has become a shining beacon of hope and a voice for the vaping movement as a whole. Every so often, a burst of technology can change society’s trajectory in major ways. Airplanes have shrunk world travel to less than 24 hours. Cellphones have freed us from landlines. We are now faced with a disruption that could dramatically change the way we use nicotine and improve the country’s health, except many lawmakers won’t let us. Without the deadly tar and other products of combustion found in tobacco cigarettes, e-cigarettes are growing in popularity as a way to transition off combustible cigarettes. While e-cigarettes are not totally safe or healthful, they are far less harmful than cigarettes. Public Health England estimates that electronic cigarettes are no less than 95 percent safer than combustible cigarettes and both Public Health England and the Office of the Surgeon General report that e-cigarettes have a similar risk profile to other nicotine replacements, such as the patch and nicotine gum. Although the plan, announced today, lacks detail it nevertheless targets a further reduction in smoking rates, from 15.5 per cent down to 12 per cent by 2022. The government has published its new Tobacco Control Plan for England. This will come as a relief to Action on Smoking and Health (ASH) who have been waiting 18 months for a justification for their taxpayer subsidy. The government has set an entirely arbitrary target of reducing smoking prevalence to 12 per cent by 2022. It has no way of doing this. Britain is still a nominally free country and people can choose to smoke if they want to, albeit within the constraints of extortionate taxes and a draconian smoking ban. Today the UK Government’s long awaited Tobacco Control Plan was published and is encouraging reading for those who, like us, have an interest in tobacco harm reduction. Although the plan is short on detail there is some emphasis on a pragmatic, harm reduction approach, rather than on further punitive measures intended to force smokers to quit – although those already in place are set to continue. I’ve read the thing. I tweeted my immediate thoughts as I was reading. Let’s just say I was less than impressed. I’m not going to dissect it line by line, it’d take far too long for one, and I doubt my blood pressure could handle it. In the opening page, there isn’t even a hint of the impact that e-cigs (or any other reduced risk product) have made.